In this lab-based case, arson investigator “Marie Stanforth” comes under suspicion when her ex-husband dies in a fire. Students assume the role of forensic chemists working for the FBI to analyze charred samples recovered from the crime scene as well as clothing from the principal suspect, comparing what they find in the samples to accelerant standards whose spectra are already known. Once they have determined whether or not the fire was arson, they must then decide if the allegations against Marie are credible. 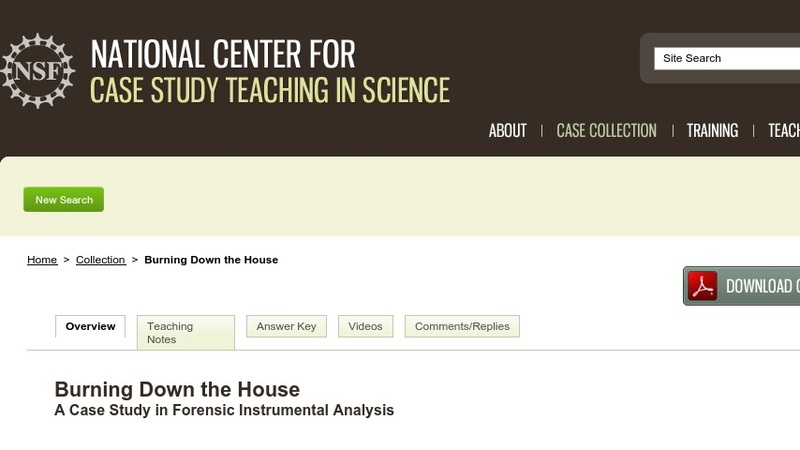 This case study was designed for an instrumental methods course, but could be adapted for a non-science majors’ course.